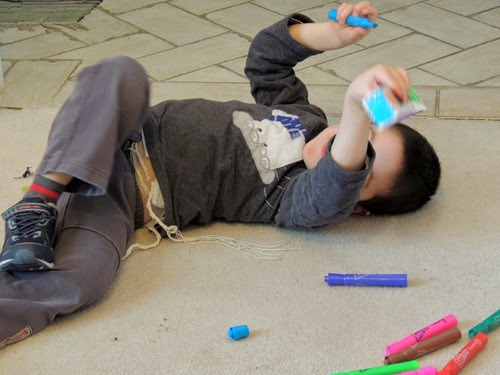 One of Simon’s Hanukkah presents was a set of Mr. 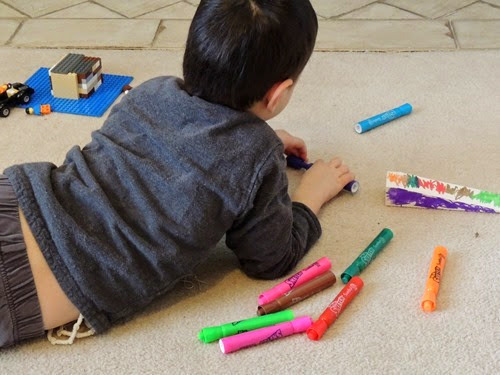 Sketch Scented Markers, thanks to Smiley360, who sent me a pack of Mr. Sketch Holiday Stix as well as a gift card to purchase any Mr. Sketch markers from Walmart. 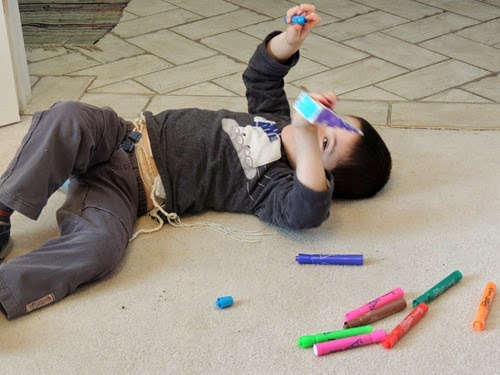 Are ideal as an easel pad marker. Watercolors are bright and vivid. The smooth-flowing tip makes sketching easier. The tip keeps its shape after months of coloring. Each color has its own fragrance. Markers are certified AP nontoxic and conform to ASTM D-4236. 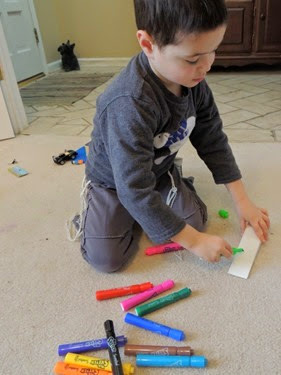 Simon chose to use his markers to decorate his Pinewood Derby car which he will be racing at Zachary’s Cub Scout Pinewood Derby this weekend! 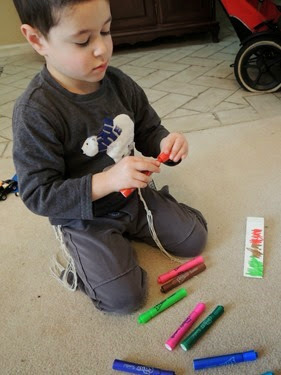 Simon loves the smells of these markers and he loves that there are different shades of some of the colors within the 12 pack – his favorite color is green and there are two greens in the pack! 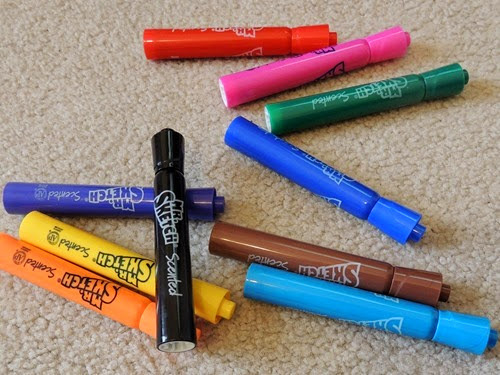 I received these markers from Smiley360. I was not required to post my review here, but these pictures were too cute not to share!